The “south” entrance is through the front doors to the school. Video (1:24) "It was exactly between 8:45 and 8:55. He was in his classroom. He got the photo taken by Terri and he according to eyewitness accounts ... multiple adults ... that can vouch for the fact that Terri walked out the side entrance of the school with Kyron in tow and we know this because Kyron's friend even saw him with her right outside the school." There was one new piece of information: “Terri is the last-known person to have seen him before he disappeared” Multnomah County Sheriff’s Capt. Jason Gates said, contrary to previous reports of someone else who might have seen the boy afterward. Authorities are seeking to identify the person, or persons, who may have been spotted by the truck as it was parked outside the school's front fence in the shoulder of Northwest Skyline Boulevard. Someone possibly moved the pickup and parked it up a gravel path in front of the school's playground while Terri Moulton Horman was inside the school with her stepson for his science fair. Inquiring minds would also like to know who all are privy to witness depositions that Blink references ... witness depositions that contrary to Desiree and investigative spokespersons imply that Kyron was last seen with an unidentified male ... not Terri. Logic dictates that investigative briefings form the belief foundation of Kyron's parents. In other words ... it would make sense that any witness depositions would affirm that Kyron left Skyline through the side entrance with his stepmother. "We need investigators to continue to focus on other avenues that might reveal who those person or persons are," said Kaine Horman. Many schools are closed or are opening late Wednesday. Among those closed are Portland Public Schools, the Beaverton School District, Gresham-Barlow School District, David Douglas School District, Evergreen School District and Vancouver School District. Think about it. What are the implications encompassing the long silence from Desiree and Kaine as well as investigative spokespersons regarding updates in the Kyron Horman case? My sweet Ky .... Justice is coming for you and answers will be revealed. Page 219: "I have to make difficult choices every day. I have to make a conscious decision every morning when I wake up not to be bitter, not to live in resentment and let anger control me. It's not easy. I ask God to help me." "I have full confidence that God will reveal all and then we will be able to bring Kyron home. He is not ready for us to know everything yet, but soon he will. We must learn from all that is going on as hard as it is, God teaches us through the hard times in our lives. And man is this one of those hard times, the hardest ever. We must honor Kyron by doing something good with it and that is what I intend to do. Thank you all for your support and thoughts." "All my life I've heard people of many faiths talk about "taking it to the cross and turning it over to the Lord" or just simply "turning it over. Not the work that has to be done. Just the burden. I cast it upon Him so that I may be sustained. And I am renewed, resilient. Thankful for however long this resurgence in energy will carry me. I will pick up one foot and put it down. Then the other one will follow. I will breathe. There is much to be done." Thank you Tamikosmom, for keeping us updated. In your opinion, who do believe kidnapped Kyron Horman, from his elementary school, on June 4, 2010? I don't have an opinion. If Desiree, Kaine or spokespersons for the Kyron Horman investigation say it ... I believe it. Logic dictates that their respective statements have an official foundation. Mattera: "What time did Kyron go missing." "Terri hasn't been the only focus. Law enforcement has been very thorough about ruling people out. They don't have tunnel vision. We got to Terri because of Terri. We got to Terri because of all of her emails and all of her GPS information on her phone and all of the eyewitness accounts that were conflicting with her timeline. We know who did this. We know who's involved and we know the basic circumstances." "The Multnomah County Sheriff's Office remains in CLOSE CONTACT with the parents of Kyron regarding the course of the investigation. I attempt to put myself in the place of a grandmother who has not embraced her precious 14 year old grandson for the past almost eight years. I attempt to put myself in the place of a grandmother who has had to live each waking moment for the past almost eight years with the not-knowing. I attempt but I can't go there. I just can't. I can only imagine that it would be a literal h--- on Earth. Some days the hope that our child will come home is all that keeps us going. My sweet Ky, this pic was your birthday and we worked hard to make all of your cake ice cream cones for the party. I remember everything about this day, down to the way the dinosaur's fabric feels on your pajamas. Your birthday is soon and I miss making new memories with you. I'm mad that was taken from me and from you. Your voice might be changing by now, you'd be able to drive a car with supervision of course, but all of the things that change for you at 15 and we don't get to see it or be with you. I love you and I'm praying super hard for you lately. Justice is coming for you and answers will be revealed. Look who stopped by this morning...I was sitting here reflecting on my weekend in Portland, Kyron heavy on mind and my heart, and the dove shows up. It’s a good sign. Feeling really good about this year and things to come. Big milestone for me, I walked through Ky’s school for the first time since that day, the day he went missing and everything changed. Thank you Skyline Administration for being so accommodating. As hard as it was, it really helped me feel confident in the timeline, in the things we know, and even more confidence in what happened that day. Stepping into the main hallway in the school and all of it came flooding back to me. All of my feelings of frustration with Terri, for taking my Kyron from his life, his life full of love, his life full of normal everyday things like school. Terri picked the wrong family to mess with because Kyron is loved, and we will never stop, never give up, I promise. She thought Kyron would be forgotten after a little while, well after meeting them again in Portland, our team is even more passionate about Kyron today then day 1, and they are just as angry and motivated as I am. It felt good to hear it again...and see the passion in their faces. Good things are coming, I feel it. The civil suit filed against Terri Horman by Desiree Young was delayed by the District Attorney and Sheriff in November 2012 and ultimately dropped by Kyron's mother in 2013. 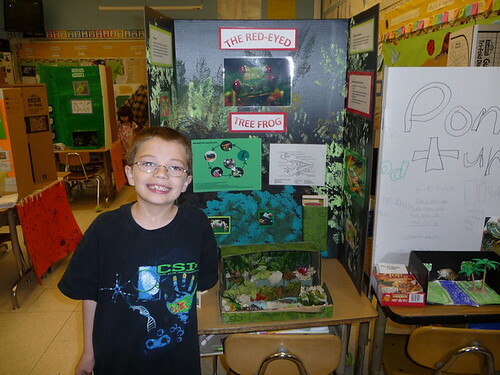 Both actions cited the compromising of the Kyron Horman investigation. Could it be that James Moulton's August 2012 deposition/testimony reveals the truth encompassing the disputed dynamics behind his move to his grandparents' Roseburg home in February/March 2010? Could it be that James' testimony may revealed so much more? BOTTOM LINE!! Why was James' testimony so important to Attorney Rosenthal in the furtherance of the $10,000,000 lawsuit? Could it be that James' August 2012 deposition was submitted to investigators as Kyron Horman case evidence? Could it be that James will be a Prosecution witness at an eventual trial? Judge Henry Kantor issued his decision after hearing 30 minutes of testimony. He said a deposition of Horman's biological son, James Moulton, can go forward Thursday before his planned military service is set to begin late this month. In February, Terri sent James to Roseburg to live with his maternal grandparents. "I was on a business trip when she made that decision," Kaine said. "She called me on my first day (in California) and said they had gotten into a fight. She couldn't handle it anymore. She was going to call his dad to talk about other options." Kaine said he didn't want James to move out, but it wasn't his decision. "I've never seen Kaine cry until Kyron went missing," James said. ... James said he misses his little sister — and would like to see Kaine as well. "He was like a dad to me," James said. "I lived with him for eight years." Kaine hopes to talk to James again soon. Kaine Horman told The Oregonian their relationship was typical and that Terri and her son were the ones who didn’t get along. Kaine said he was often the mitigator between the two of them. I do believe that Mr. Vazquez had better be watching his back. 19. "... Law enforcement officials have informed me that that more than one circuit court judge has determined probable cause exists to implicate Respondent in Kyron's disappearance and in the murder for hire plot. Respondent and her lawyers are also aware of this. ..."
Detectives in Roseburg are investigating allegations of a murder-for-hire plot involving Terri Horman that occurred nearly 30 years ago – long before her stepson Kyron Horman disappeared. .... The alleged murder-for-hire plot targeted a man named Sean Rea, who was Horman’s boyfriend at the time. .... There is something not quite right in her interpersonal relationship department psyche … it’s like riding a roller coaster… whatever it is, it’s not healthy. My family had major turmoil because of it. It’s certainly been a life lesson for my family, only now mending over time. .... and apparently karma is catching up with her now. Page created in 6.199 seconds with 21 queries.